When President Rodrigo Duterte signed the Ease of Doing Business and Efficient Government Service Delivery Act into law in May 2018, many welcomed its bold promise. The new law set a deadline for government to act on applications: three to five days for simple processes and seven to 10 days for complex ones. But even before the new law came into effect, the government had already been making moves to ease business registration for prospective entrepreneurs by making some application processes online. One of the first processes to become digitized is the Department of Trade and Industry (DTI)’s business name registration for single proprietors. 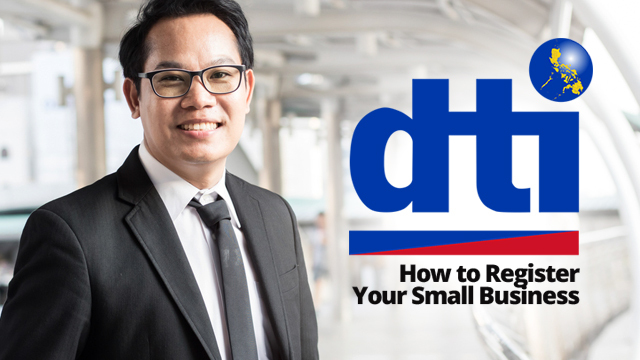 As part of the DTI’s one-stop shop website, the Philippine Business Registry (PBR), DTI’s business name registration system, has been made more accessible for single proprietors since 2012. A prospective entrepreneur is no longer required to visit a DTI office or a Go Negosyo center to secure a Certificate of Business Registration. With the PBR website, the certificate can even be printed in the comfort of one’s home. If you are keen on doing the process yourself, here are the steps you have to take to secure that certificate. Before starting the registration process, it helps to check if the business name you have in mind is still available to use. At the PBR, one can easily type in the prospective business name and it will check the database if there are enterprises already using that trade name. A word of advice: don’t just try to check the business name you are aiming for once. Try to modify your search to save time later on. For example, if you are thinking of putting up a business called “Juan dela Cruz Services,” modify your search and break down every part of the business name from just “Juan dela” to “Cruz Services.” Some business names just differ in spacing or spelling. The DTI also reminds applicants to ensure that the business name isn’t similar to an existing trade name or trademark, such as “Anne Dok’s Lechon,” “Jolibee” and "Starbax Café.” On the other hand, names that are too generic, such as “The Coffee Shop” for your café, aren’t permissible, too. Business owners also can’t use the abbreviation of a government agency or international organization. Once you’ve verified that your prospective business name is still available for use, you can proceed to the business name application. Once in the page, you will be required to choose the geographic scope of the enterprise: national, regional, city or town, and barangay. If you are keen on operating a business that will reach clients in different parts of the country—for example, an online shop—then it’s best to register your scope as nationwide. The fees will vary depending on the scope, ranging from Php200 to Php2,000. Afterwards, the business owner’s personal info will be required. You will only have to submit some basic details such as tax identification number, residence address and mobile number. By this time, you’re done with the most tedious part of the online registration process. You may now choose whether to pay cash through either a local DTI office or Go Negosyo Center, or via an online payments system. The PBR only accepts two kinds of online payments: Bancnet and GCash. If you have an online account with any bank, then paying through Bancnet is advisable. Otherwise, a GCash account may be needed to complete the transaction. You may now also choose whether to pick up your business certificate from a local DTI office or have it printed yourself. Once the payment is complete, a message will be sent to your e-mail on how you will retrieve the certificate based on the method you selected. Most likely, the whole process will only require 15 to 30 minutes of your time.